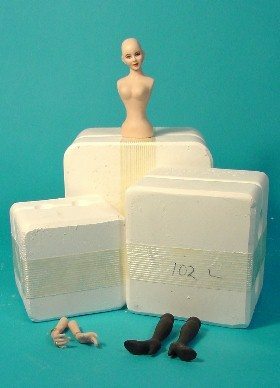 Gina C. Bellous Miniature Dolls: Fantastic News - Doll Molds! I have recently been in touch with my mold maker. He has graciously agreed to make my molds for me again. He will be doing this part time from his regular job. I am so excited about this. I am meeting with him next week to get everything set up. If you are interested, please go to my mold page and you can pre-order your molds. I am not sure of the exact delivery date yet as it will depend how quickly he can make them for me. They will be shipped out first come , first served. Hi Gina, I'm so glad to hear this. I have all of your molds. They are so wonderfully detailed and easy to pour. I highly recommend them, they are worth the wait.